The Czech-Slovak group is still interested in an acquisition of the insolvent Austrian conglomerate and has now submitted a new offer. Penta Investments aims to buy separate parts of A-Tec Industries after negotiations about a takeover had failed last week. 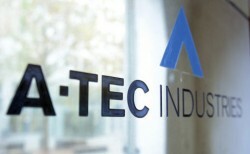 The Czech-Slovak investment group has submitted an indicative offer for A-Tec’s three divisions (ATB, Emco, Brixlegg) as well as a separate offer for the engineering company ATB. Penta said it was willing to conclude an agreement very quickly.